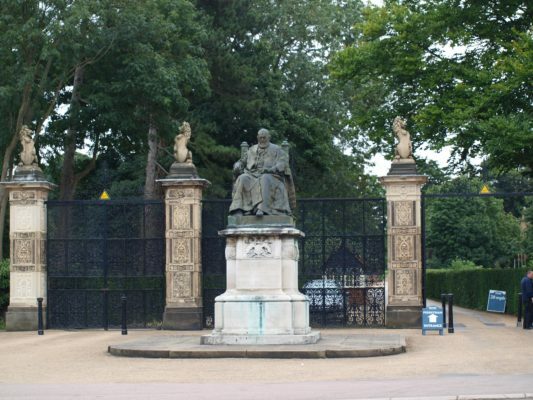 1) Entrance to Hatfield House with statue of Robert Arthur Talbot, Marquis of Salisbury 1830 -1903. 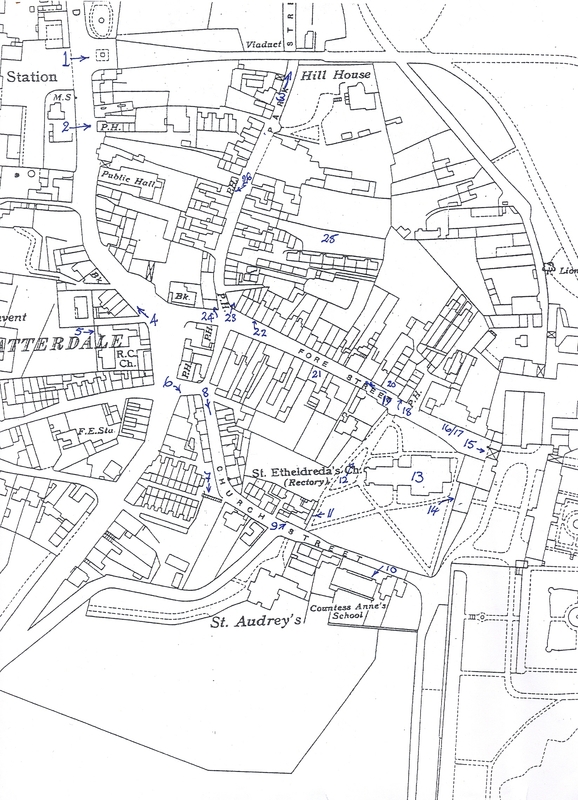 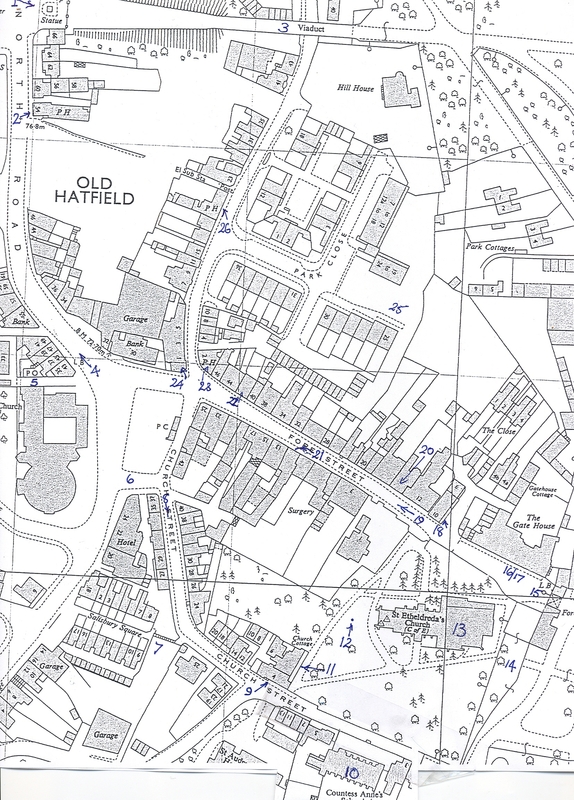 2) Turning south you see the Great Northern PH (formerly the Hatfield Arms and before that the Great Northern Hotel) . 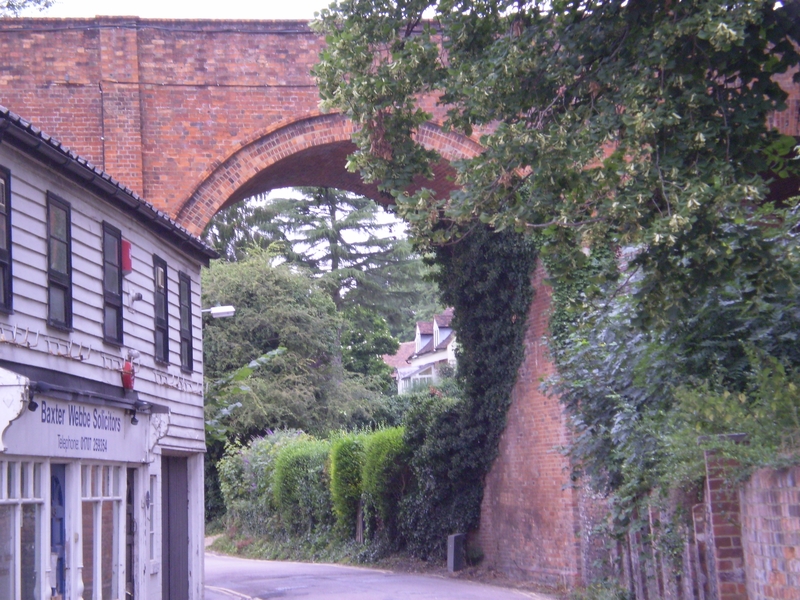 3) Turn left along the roadway - Arm and Sword Lane - and walk down to the bottom of the car park from here you can see the viaduct built to enable Lord Salisbury to access the Railway station. 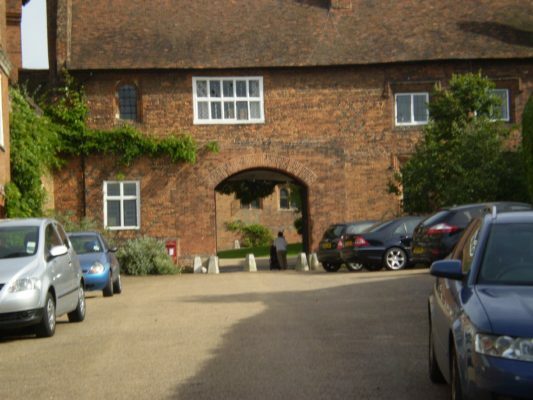 4) At the bottom of the car park turn right and pass into Salisbury Square - the buildings on the west side follow the line of the old Great North Road. 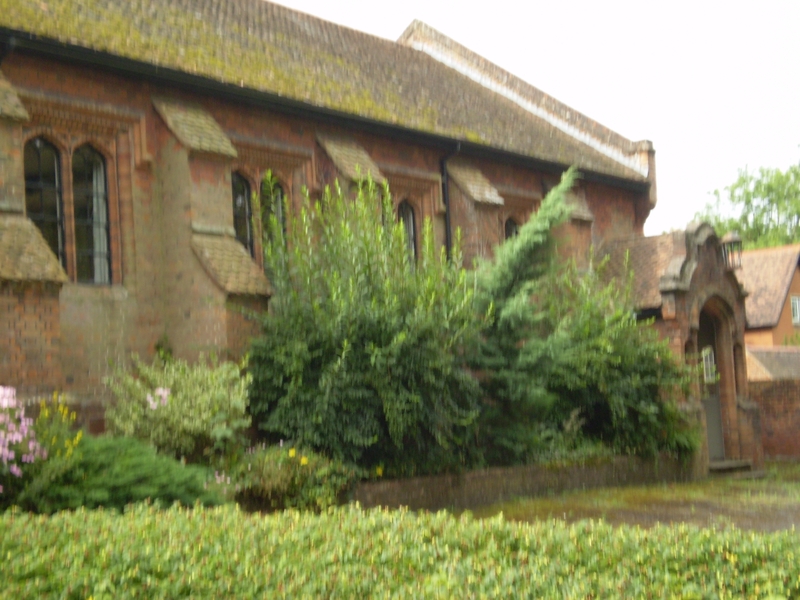 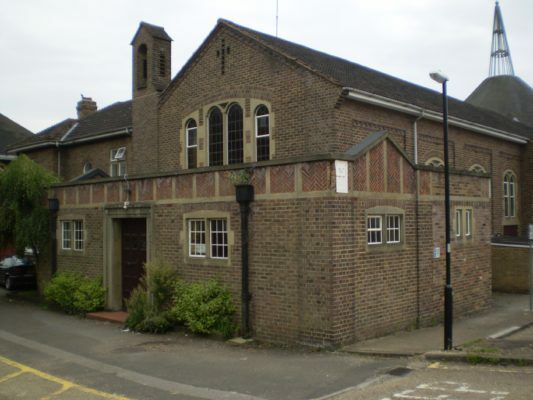 5) Along the passageway below the first shop can be seen the original Catholic Church of St.Theresa (now the Church Hall) with the new Mary Church behind. 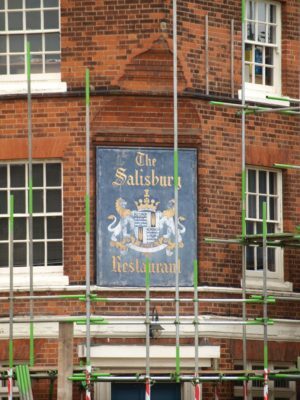 6) Through the archway can be seen the building which was the l Salisbury Arms Restaurant ( the signboard of which can still be seen on the building now offices). 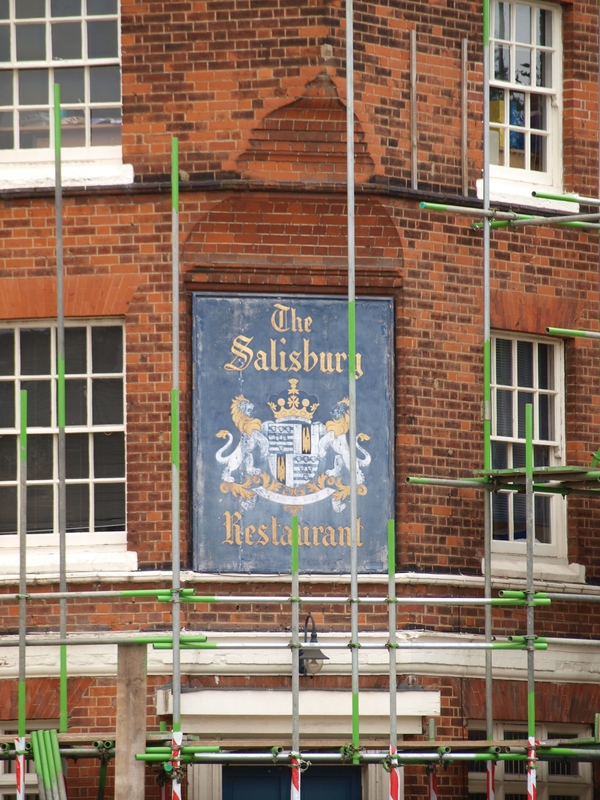 Note also the 'barley sugar' twists on the chimney stacks. 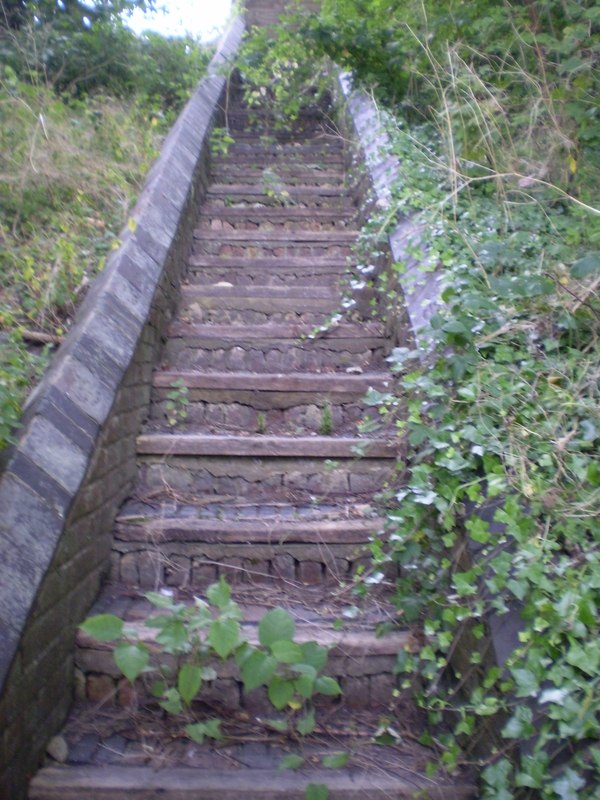 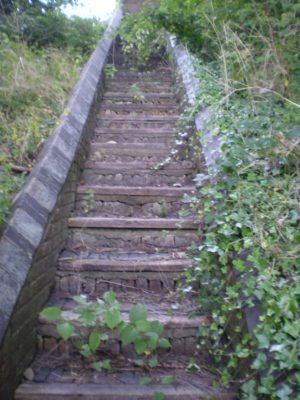 7) Along the roadway to the south there is an archway leading to Jacobs Ladder. 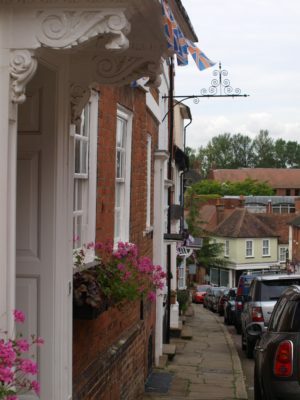 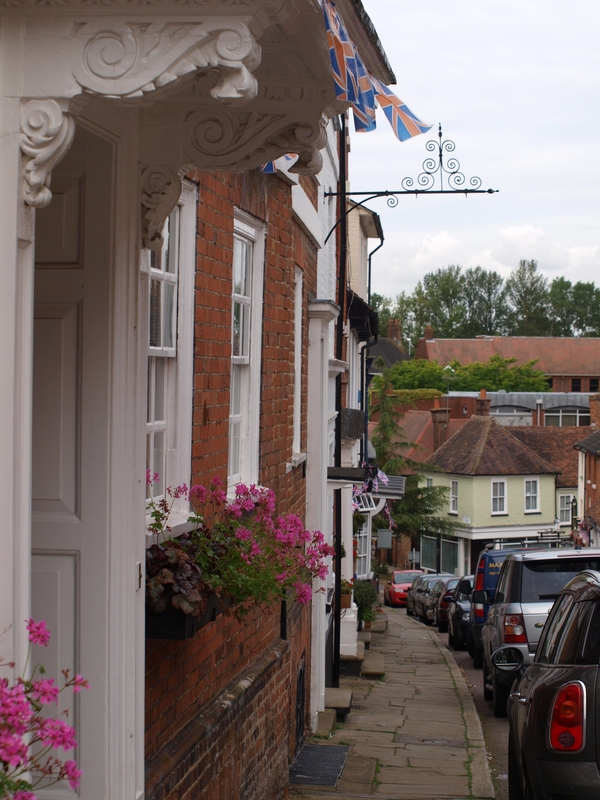 The new buildings here are built on the site of the original Salisbury Square, a double terrace of houses built for members of the Harts Militia and from where a set of steps (repaired and re-opened 26 September 2015) known as Jacobs Ladder leads up into Church Street below the gate into the churchyard of St. Etheldreda's Church. 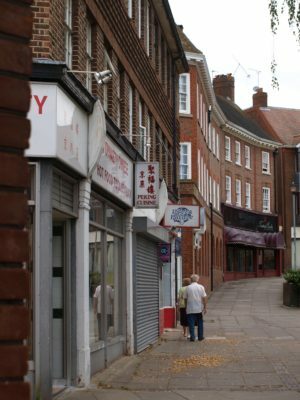 8) Returning to the corner turn right into Church Street (formerly Back Street). 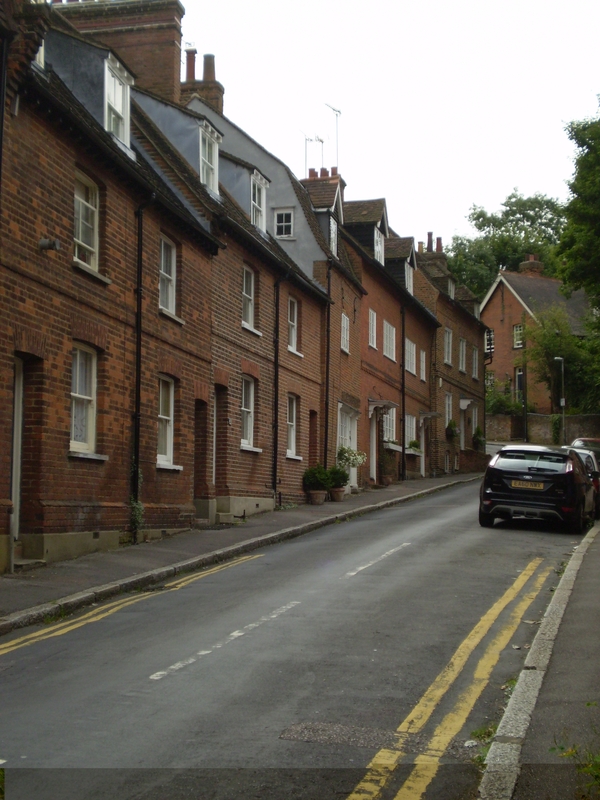 9) Walk up the hill past the end of Jacobs Ladder the white building on the left was originally "The Bakers Arms". 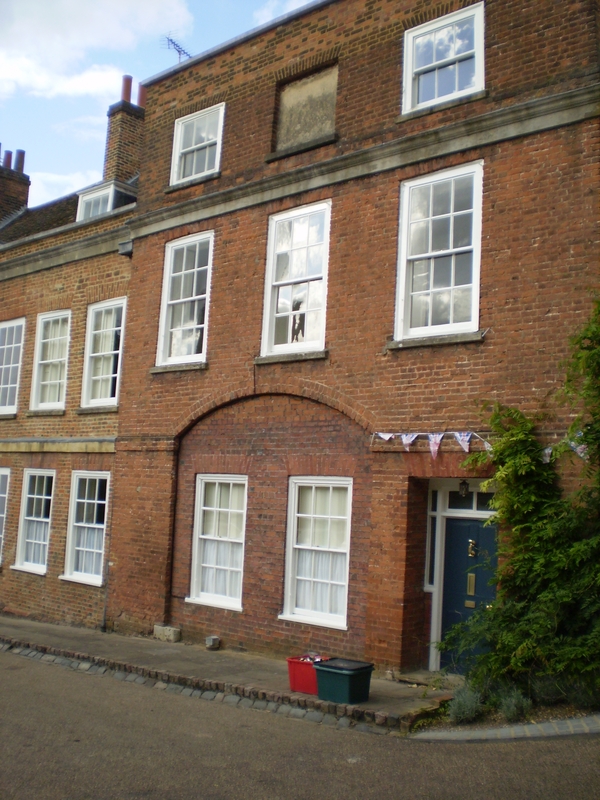 10) The building on the opposite side of the road, up a driveway, is St Audreys (originally built for the rector, William Gascoyne Cecil - second son or the 3rd Marquess of Salisbury) which has since been a home for blind people, offices and a care home. 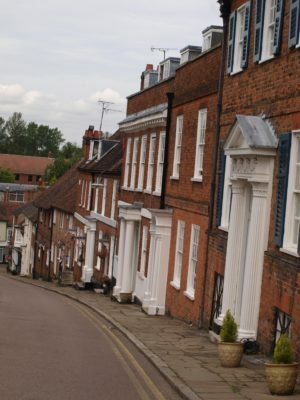 11) Towards the top of Church Street on the right hand side will be found St Ethedreda's Church Hall - a building which was originally Countess Anne's School. 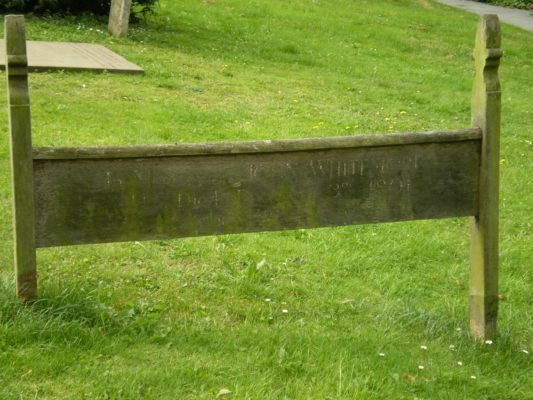 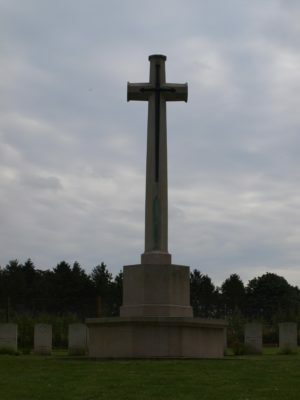 13) In the churchyard can be found the wooden grave marker of John Whitmore. 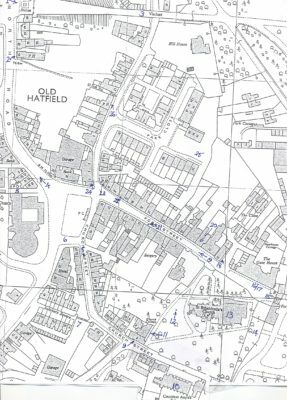 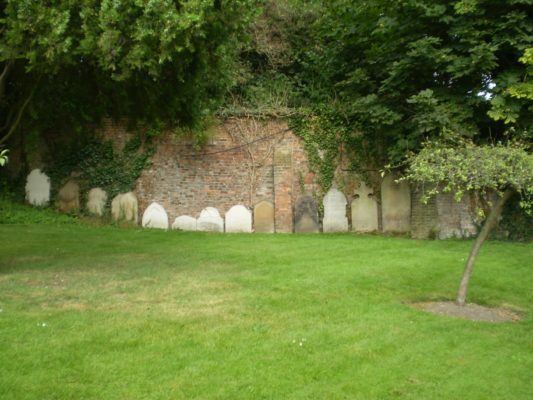 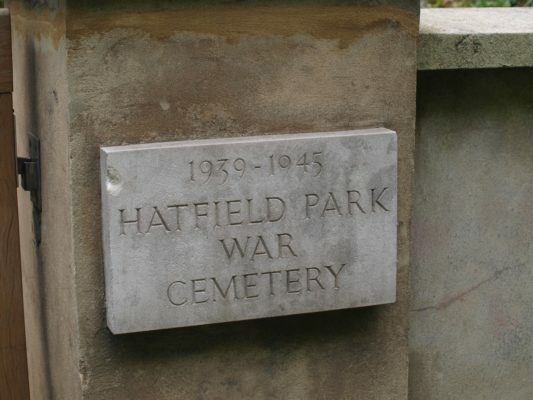 15) At the east end of the churchyard can be seen the private cemetery of the Cecil family and the Old Palace of Hatfield. 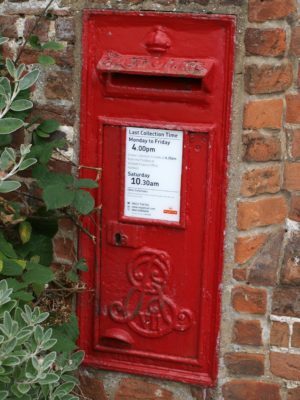 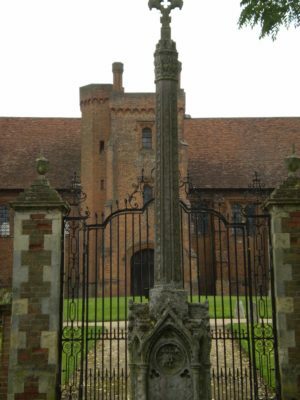 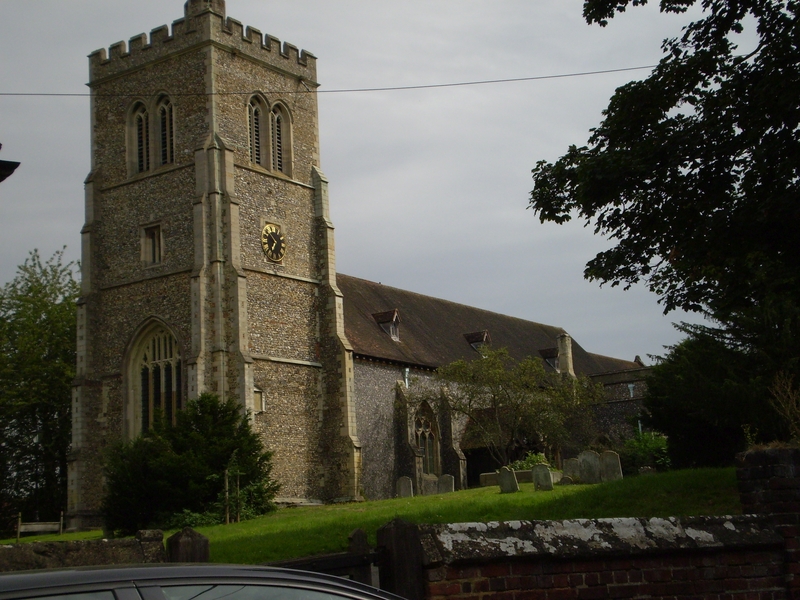 16) Leaving the churchyard by the higher gate you enter Fore Street, with the Fore Street Gate to Hatfield House on your right - in the wall of which is set an Edward VII postbox. 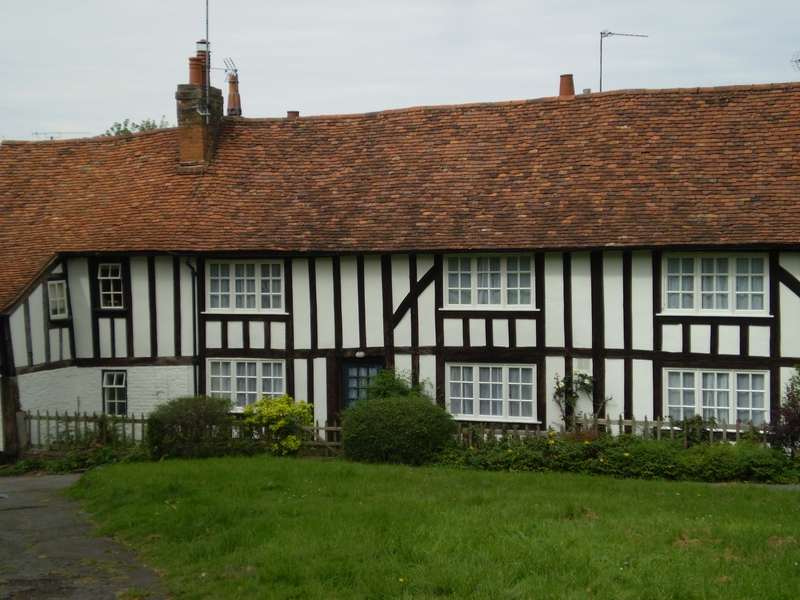 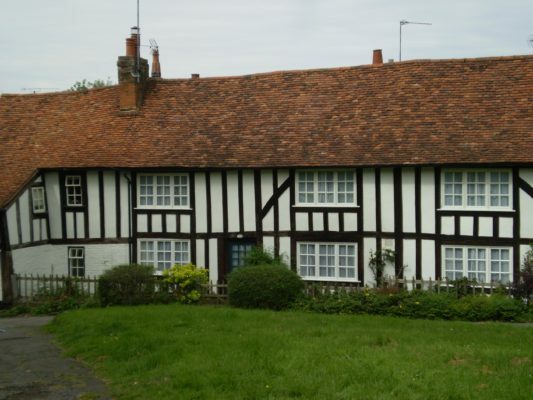 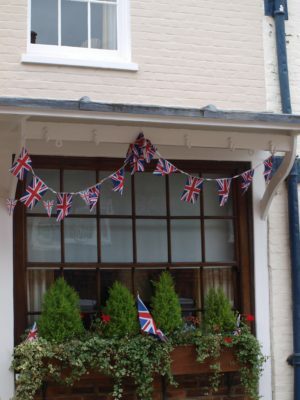 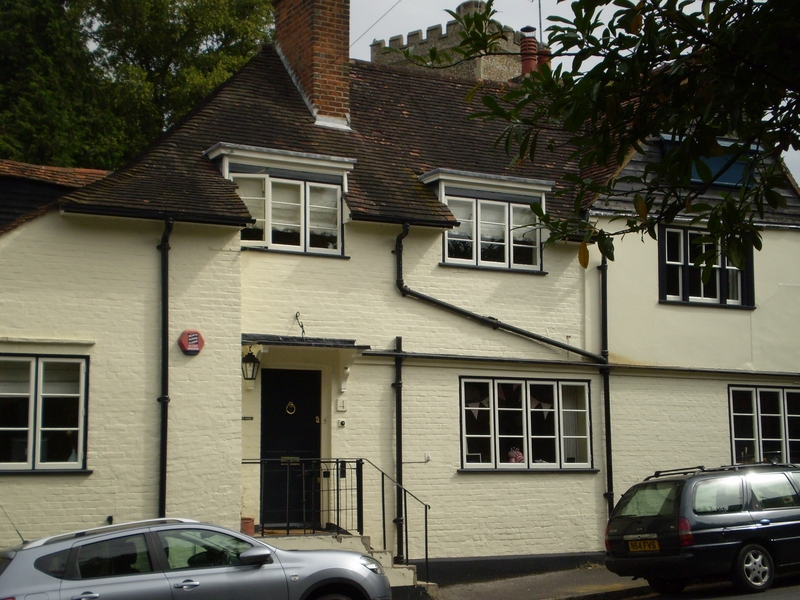 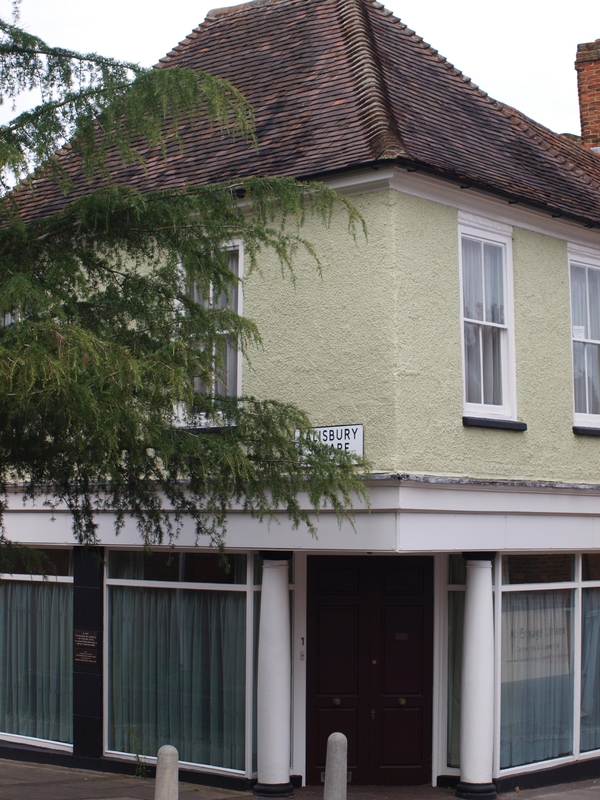 17) The first building below the gateway was the old Salisbury Arms Coaching Inn. You can see the old entrance and exit archways of the inn and also some blocked up windows (a legacy of the Window Tax). 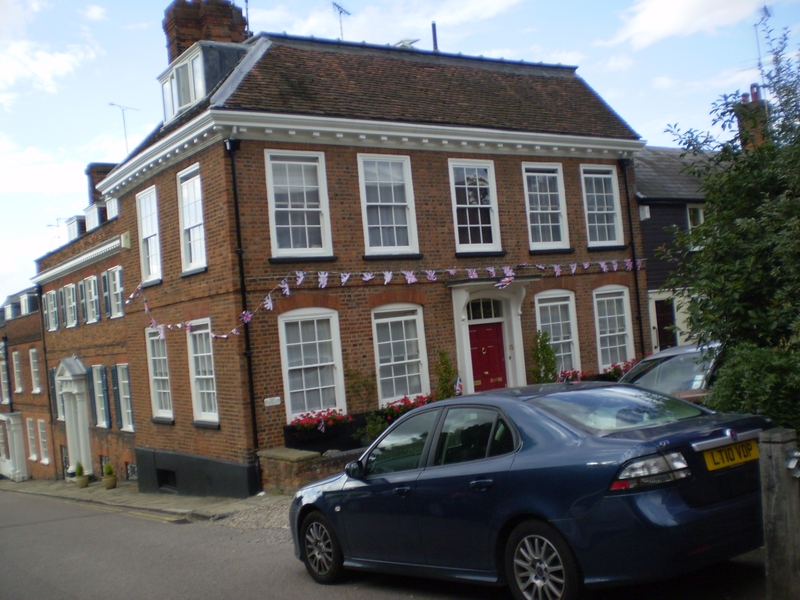 The Old Salisbury Arms showing the blocked up windows victims of the "Window Tax"
18) Opposite the church gates is the old East Indian Chief PH - now a private house. 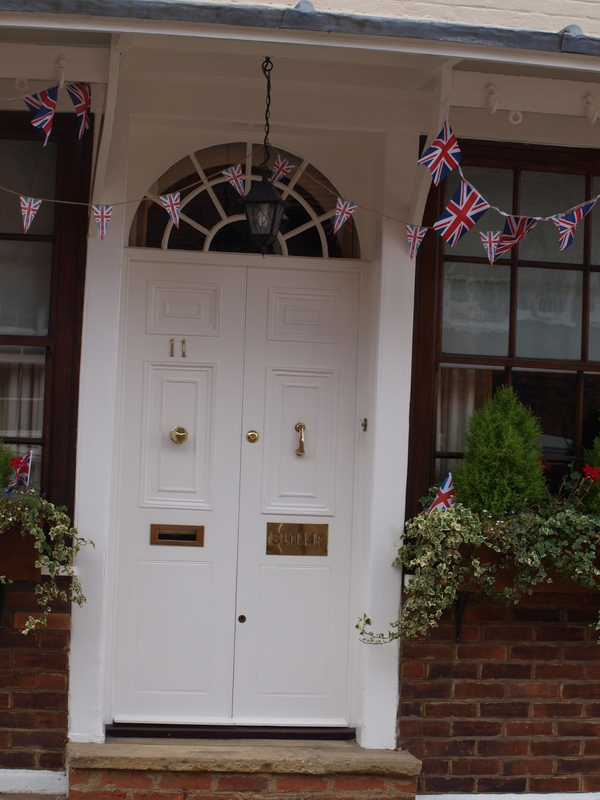 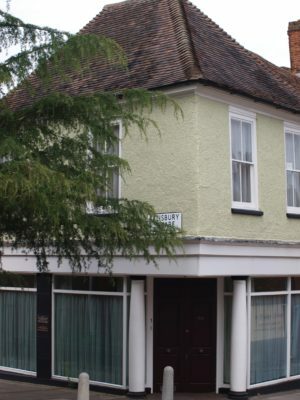 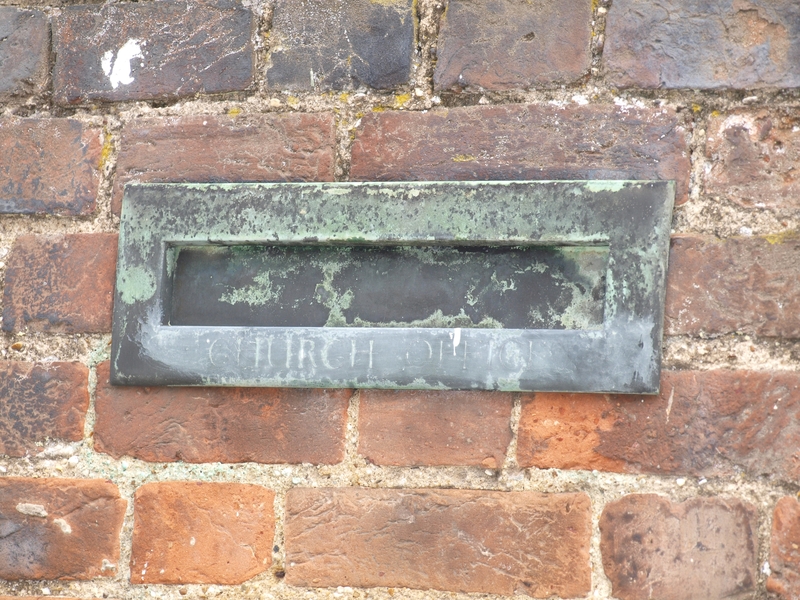 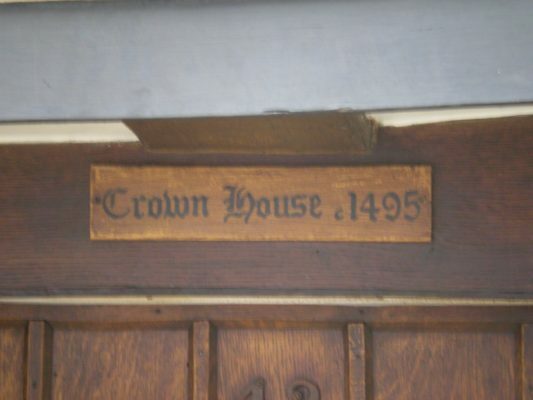 20) On the right hand side of Fore Street can be found Church Office whose letter box is set into the wall. 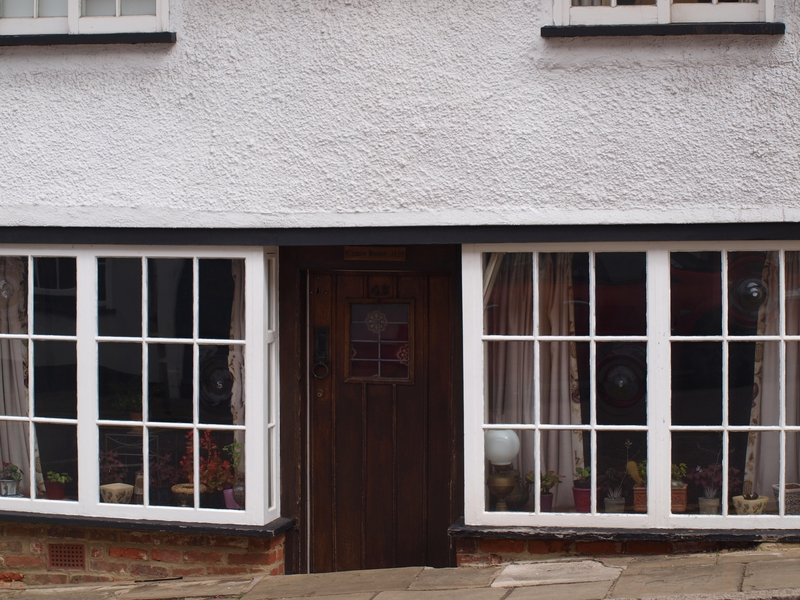 Butlers from the 1940's - 1960's was a butchers shop - the hooks for hanging the carcasses can still be seen under the porch eaves. 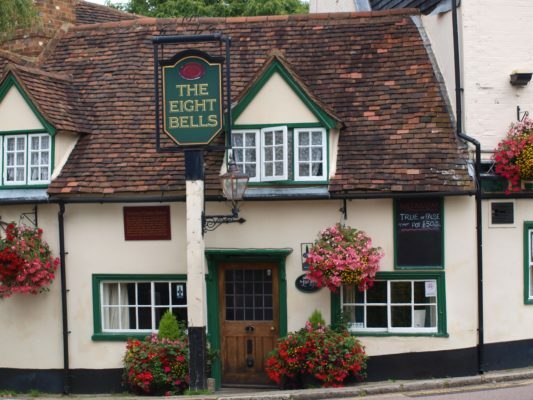 23) At the bottom of the hill can be found the Eight Bells PH made famous in Dickens 'Oliver Twist' as the place to which Bill Sykes fled after the murder of Nancy. 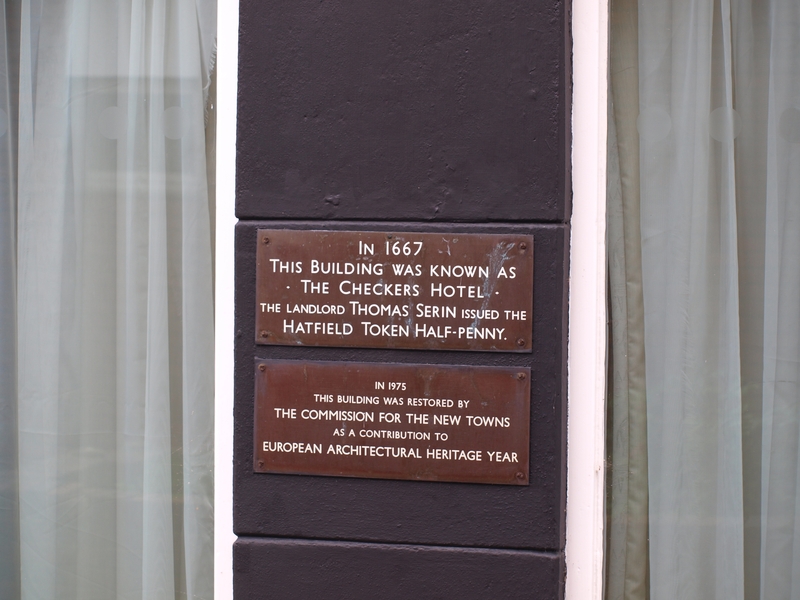 24) Opposite 'The Eight Bells ' is a building formerly the 'Checkers Hotel' where the Hatfield Token Half Penny was issued by the landlord Thomas Serin. 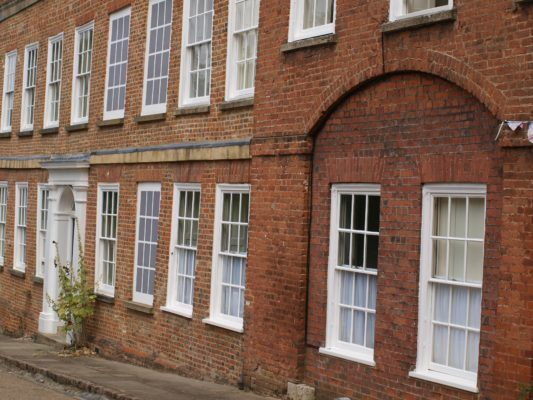 In the 50's the property was Hankins Haberdashers and latterly offices. 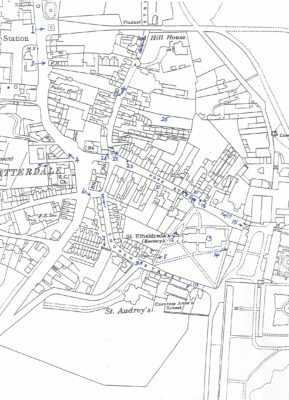 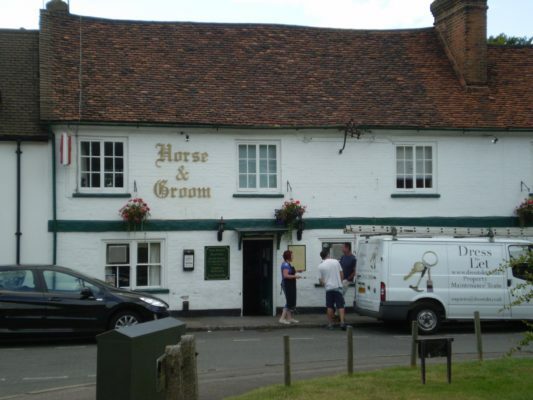 26) Turning back into Park Street immediately opposite is the Horse and Groom P H. which stands at the end of the old Arm and Sword yard. 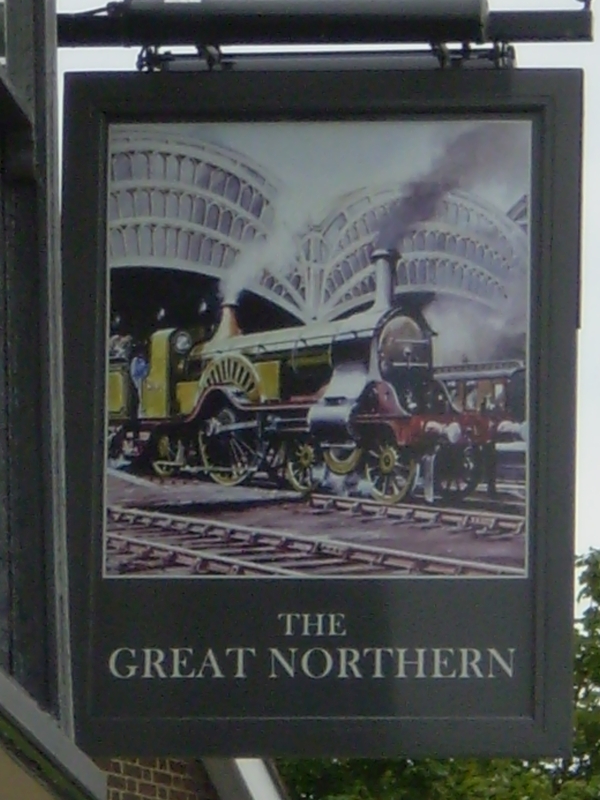 This page was added on 22/09/2012.